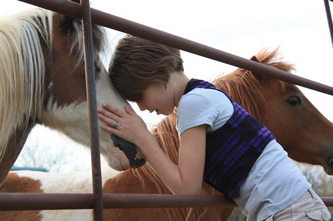 Midnight Farm's Petting Paddock is a favorite for kids and grown-ups alike. These characters have become celebrities with our visitors! Bandit is a 2008 Miniature Mediterranean Donkey with spots. He is very friendly and loves to have visitors! He will often sneak up next to guests and put his head under their hands or in their laps! 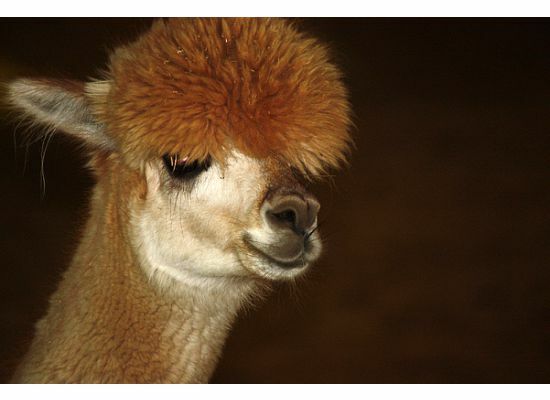 Ivan and Raymundo are 2008 Huacaya alpacas. They are very shy but curious. If you stand very still and wait, you just may get them to come to you. Sunset Acres Cody, aka "Cody"
Buckbeak is a very friendly ewe. She likes to have her head rubbed right around her ears and will lick your hand if she's pleased. 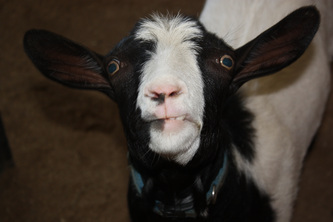 Pixie is an extremely friendly and entertaining goat. She is a pygmy goat, so she's as big as she'll grow, but doesn't mind climbing to where she wants to be. She is usually on top of something, and has even been seen riding Bandit around the Paddock! Petunia is a pot-bellied pig who loves attention and stealing treats wherever she can. She lives in the Petting Paddock with the other petting animals so she can keep them in line! Daisy was born in 2012 and is a black female. Maxwell Tyrone Sparkles was born in 2016 and is an orange tabby male. They are responsible for keeping the mice away and greeting visitors to the farm. Annabeth is the shier of the sheep. She prefers to stand behind her sister and let Buckbeak check you out first before becoming your friend. Poppy and Maisy are our resident Guinea Pigs. They are sisters born in 2016. Poppy and Maisy are very friendly and can often be found on the couch cuddling! To learn about our wonderful horses and ponies, click here.